Stanley A. 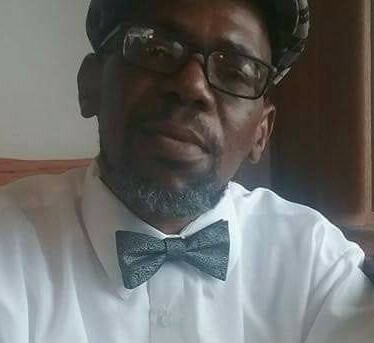 “Master Born” Whitlock, 49, of Moline, Illinois, died Friday, February 1, 2019, at UnityPoint Health – Trinity Rock Island, Rock Island, Illinois. Services are 11:00 a.m. Friday at House of the Lord Church, 537 W 15th St., Davenport, Iowa. Cremation will take place at Trimble Crematory, Moline, under the direction of Trimble Funeral Home. Memorials may be made to the family. Stanley Andre Whitlock was born January 31, 1970, in Paterson, New Jersey, the son of LeRoy Whitlock and Brenda Harrell. Although they never married, Tanisha Patterson was his long-time companion and mother of his children. He was a talented artist, and was especially gifted at drawing, and writing music and poetry. He took pride in his clothes, always looking his best. Above all else, family was the most important thing to Stanley. He is survived by the love of his life, Tanisha Patterson; five children, Andre Whitlock, Jr., of Paterson, Armonie Whitlock of Paterson, Jahadi Whitlock of Davenport, Iowa, Ajee Whitlock of Moline, and Quameek Whitlock of Davenport; two grandchildren, Armonie Whitlock, Jr. and Ava Wills; brothers, Bryant (Leotte) Harrell of Clearwater, Florida, and Rev. Willie Anderson of Wyoming, Michigan; and a host of nieces, nephews, cousins and friends. He was preceded in death by his parents and a sister, Terry Lynn Anderson. The family invites friends to share stories and condolences at TrimbleFuneralHomes.com.